California (including dentists and doctors). providing opportunities for shareholders to accelerate or delay recognition of income. May obtain significant tax benefits not available to LLCs. No income tax owed by shareholders of insolvent corporation for "cancellation of debt." the minimum $800 California Franchise Tax its first year, plus an additional "gross receipts"
income in excess of $5,000,000. required for a one person LLC). allocations, preferential payments and voting arrangements between owners. of trust ownership of S corporations). previously authorized by the LLC. 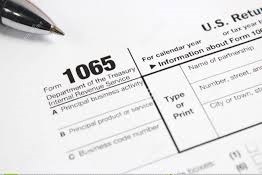 anticipated those increased losses may be claimed as an additional tax deduction. * This tax comparison of corporations and LLCs is intended to address a typical startup of a small business organization, excluding state-specific issues. This comparison is not exhaustive, nor does it apply necessarily in each and every circumstance. The contents of this website are not intended to be, nor shall they be considered, legal advice or legal opinions. Please see your CPA and/or attorney for more thorough coverage of the subject. 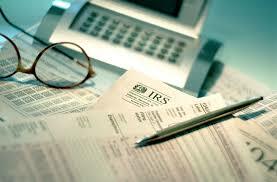 Some professionals advise forming an LLC while electing to be taxed as an S corporation. This election takes away some of the benefits of being an LLC: (1) it requires the LLC to follow S corporation rules (no "creative arrangements" or corporate members allowed, to name a few), (2) the level of initial filings, tax returns and other tax complexity is somewhat higher, and (3) it increases the risk of confusion and mistakes by members and professionals, due to state and federal laws that do not provide clear answers on the treatment of this hybrid entity. However, delaying the S election until the year after obtaining a business acquisition/startup loan can provide the best of both worlds - allowing your personally guaranteed loan to be included in basis (so you can deduct those large losses the first year), but taking advantage of the lower payroll tax for distributions in subsequent years when you become profitable.